Vacations, family events, travel, portraits, close-ups, wide shots, telephoto shots â€” the Nikon N60 and a high-quality Nikkor lens can handle them all. Opt for totally automatic operation and make photos with ease. Or use the N60's full set of controls for personal picture-taking pleasure and creativity. I am not a professional photographer but shoot travel and portrait photography for 20 plus years. A few months ago a friend gave me this camera and he was basically shocked with the excellent results that I got out of it. I use manual focus ais lenses and the autofocus dot is surprisingly accurate with the dot confirmation. In aperture mode the center rated metering is extremely reliable. For portraits I take a couple of quick exposure reading in aperture priority mode and then use that to set up the shoot in manual mode and it is as good as any slr that I have used. Basically with good glass and some quality film stock this camera can be as good as any Nikon slr for portraits and landscapes albeit for a fraction of the price. 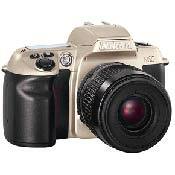 I have seen professional fashion photographers use this camera as a backup. Highly recommend this if you already have Nikon glass; cheaper than a dslr full frame and another level when it comes to rendering natural skin tones and b&w prints. Possibly the best price point of any camera I know, perhaps next to the N90s series. It reliably takes excellent images. Solid to hold. Excellent built-in flash that I can count on to give great night time shots indoors and outdoors. I have N8008S and N65, with all their extra functions, but with an AF. D or G lens the F60 does the job with no fuss. I have read the amateurs and experts’ condescending and damning reviews including Ken Rockwell’s “run as fast as you can” report. I take no notice, Who cares how many focus points it doesn’t have if a single focus point does it well. I can rely on my F60. never needed cust serv yet!!! I tried but in Spain is a pain in the neck I lost purchse tiket and they didnot want toknow anything about the camera .I had guaranty!!!!!! seagull chinese camera-dont buy it hang yourself better.although you can use a self defense..
Sturdy, Crisp shots, good battery life. Fragile, easily breaks. umm besides that happening great camera, but there has been know to break this way, its a defect but if it does break dont fix it, not worth it. This camera was great when i first got it. Took clean and crisp shots, i loved how it sounded. It was all around and easy to use camera. I had it for a little more than a year and one day the auto focus broke and Nikon WANTED $135 to fix it! Very rude, inconsiderate. Wanted to charge me the same amout to fix it as much as i paid for it. Now i have the N80, ITS GREAT! i would recomend spend the extra money and get the N80. Price Good Feel and Looks Powerful Built in flash with a good GN Preset programs. Very easy to use. This is a very good camera for a beginner.I bought it when I decided to go from point and shoot cameras to SLR. I chose N60 as it was the least expensive.I have tried all kinds of lights and exposures and the pictures were phenomenal ( except the ones which were messed up by me).I would recommend to but a good lens with this and get rid of the Plastic lens that comes with it. As my skills are growing in photography I do feel that I should upgrade to another Nikon N90 or higher.I would still like to keep my N60 though. All black, uses CR123, cheapest decent body, stiff metal innards,discreet sound "chlock, whirrrr",quick decisive AF,Matrix metering (Yes! ), ergonomics excellent. Very good build. Low cost- no worry everyday camera. get a decent lens! Sturdy, but somewhat heavy (solid), no flash compensation- I will tape paper to reduce flash power for fill flash. Low light AF illimunation is too bright. No grippy surface on back. Okay, I'm not on crack, here's my review: I bought the N60QD because it was the cheapest ALL Black somewhat modern AF body. I wanted something simple and stealth- it actually looks pretty cute and compact, but feels very comfortable- if not somewhat large, but grippy. I used to have an N70 and an N80, but those both cost significantly more and has features I never used. The N65 uses tiny Cr2 batteries- I have dozens of CR123 for all my compact cameras. Back to the N60: It was produced a few years after the N70 and has a very sturdy, strong body. I noticed that there is more of the hard plastic, but that is okay- Nikon uses highquality plastic- it doesn't feel cheap. I like the layout and don't really miss any of the features from more advanced N bodies. The film rails are actually metal- similar to N70/N80. I think the N65 is all plastic. In terms of AF speed, it is quicker than my old N70, but may have a weaker motor for the really old AF lenses. The film advance is very slow, but if you press the shutter release repeatedly, you get faster than the 1 shot/sec spec. (so Nikon is limiting this body-what's new). Since the body is newer than the N70, I feel that it is a bridge to the N65/N80 using the N70 innards. I don't need DOF because I have enough experience with my lenses to know what works well. Rear flash synch- don't need it. Flash compensation- I will tape some paper over the flash to reduce it. The singular AF sensor is better for more serious amateurs, which suits me fine. Some well known webphoto sites poopoo the N60 for the AE-L/CenterWeight metering-, but this is perfect for the serious amateur- how I would want it. Matrix metering shouldn't be locked. Exposure compensation is so easy to use. So, this camera works for me and is all stealthy black. all N bodies, even the old ones. Nikon plastic is very solid- bounces back instead of denting. This camera loves to be held in my hands.It's feels big enough so that you get good grip.I own this camera for two years now and never had slightest problem with it.The metering system is very good I feel.It's definitely very good camera for begginers to SLR photography and even more advanced hobbyists can achieve excellent results with this camera that also looks quite professionaly in the black finish..I really miss only the option for shutter cable release. It is definetly a friendly user camera. The automatic focus, the automatic f/stop feature is worth the price of the camera alone. The ability to also control everything is an absolute wonderful feature. You can't go wrong buying any of the Nikon Products, especially the N series. The times that I've used it, I really havn't found any weaknesses. I retired from the USAF and we used Nikon products, almost exclusively. We were involved in numerous type of terrains and different altitudes. This N60 is without a doubt the easiest camera I've ever dealt with. I would recommend it to anyone from beginner to professional. I've not had to use Customer Service yet. Nikon F, Hasseblad, Canon, Pentax and by far, the Nikon Product is way above everything else, except for the Hasseblad.